PEORIA – Sharon R. Moke, 76, of Peoria, died on Wednesday, April 10, 2019, at Rosewood Care Center of East Peoria. Sharon was born on July 24, 1942, to Russell F. and Dorothy R. (Fenwick) Moke in Burlington, IA. They both have preceded her in death, as well as her brother, Russell E. Moke. She is survived by an aunt, Anna Mae Decker; a niece, Marsha (Shawn) Murphy; 3 nephews, Aiden, Dylan, and Liam Murphy; and numerous cousins. 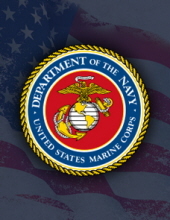 Sharon served our country in the U.S. Marine Corp. She worked as a paralegal specialist for the U.S. government. Sharon was active in the Heart of Illinois Paralegal Association and was a liaison for the NALA The Paralegal Association. She was also a member of Saint Monica Catholic Church in East Peoria. A graveside service will be held at 1:00 p.m. on Friday April 12, 2019, at St. Mary’s Cemetery in Peoria. "Email Address" would like to share the life celebration of Sharon R. Moke. Click on the "link" to go to share a favorite memory or leave a condolence message for the family.